La Suite Jardín está ubicada en una tranquila esquina del hotel, con vista parcial al mar. 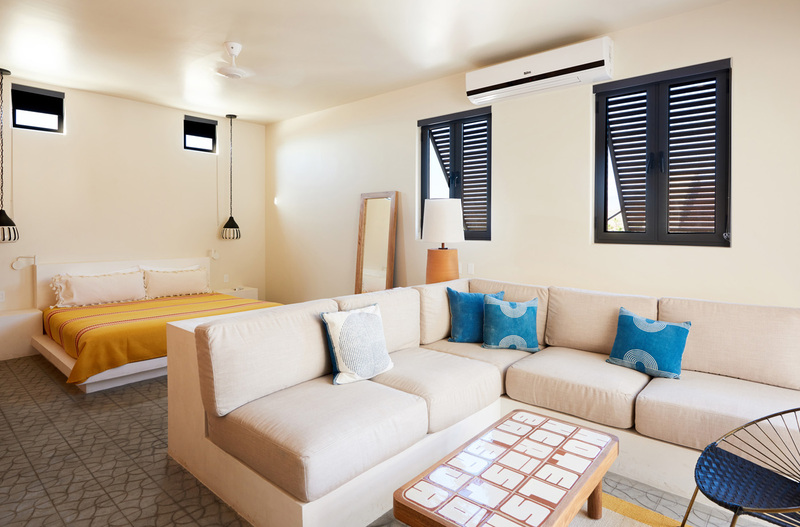 Esta espaciosa suite tiene una cama king size hecha a mano con fibra natural Coco-Mat, un escritorio y amplia sala interior, así como una terraza exterior privada con mesa de comedor para cuatro. 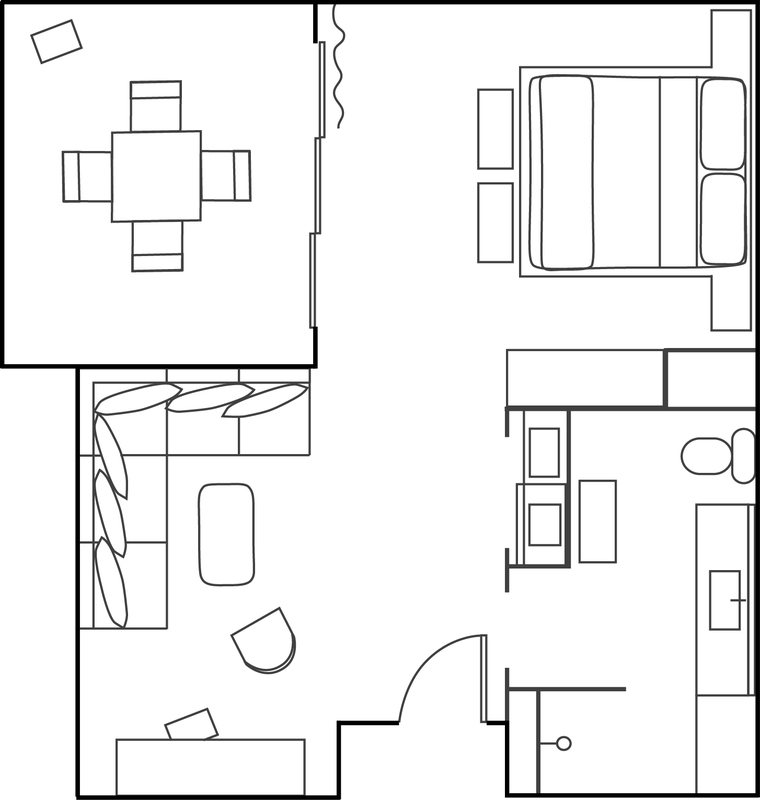 Pregunte en recepción por comidas en suite, entretenimiento, yoga, y posibilidades de spa en la habitación. Todas las habitaciones tienen aire acondicionado e incluyen conexión inalámbrica (wifi) gratuita, agua filtrada y una variedad de finas comodidades. 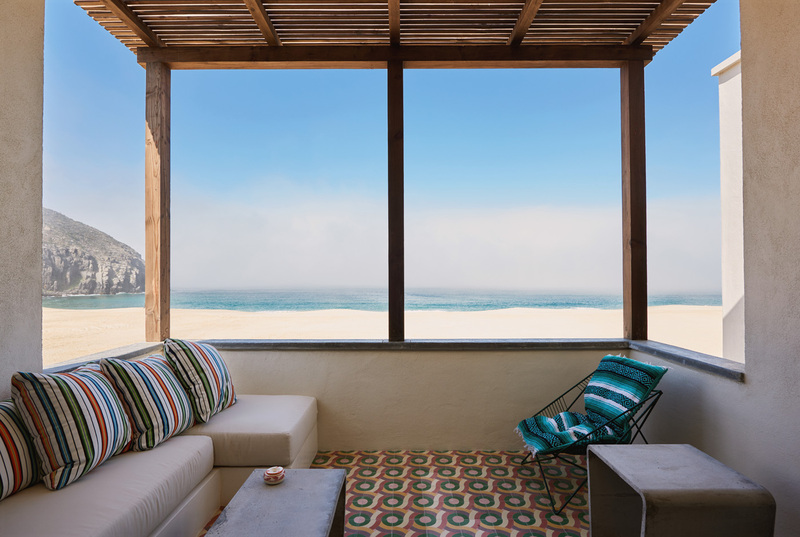 Located on the beach with uninterrupted views of the Pacific and Punta Lobos. 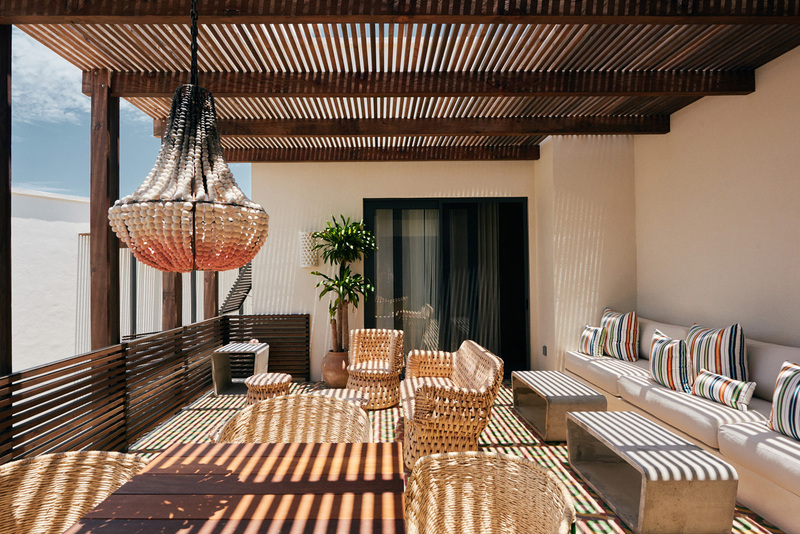 Located above the hotel restaurant and indoor bar, the Ocean Suite offers stunning views of the pool and the ocean beyond from the second floor. For those occasions when sharing memories does not require sharing a bed. 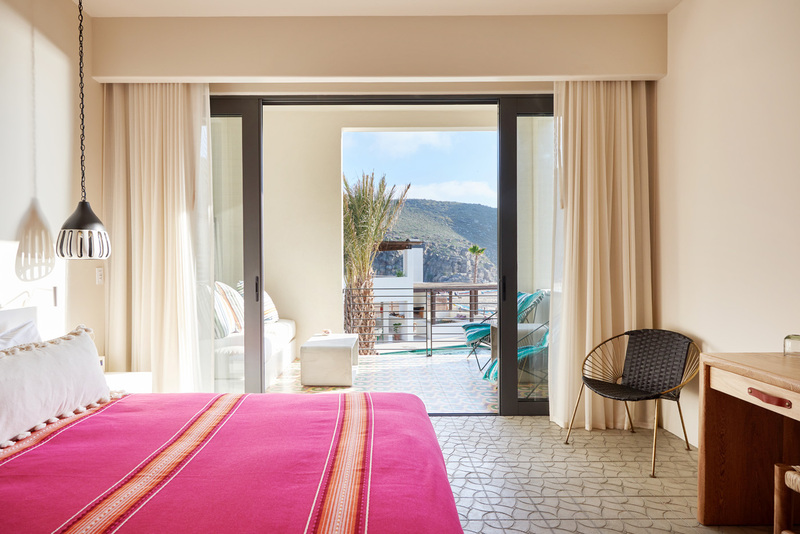 The Mountain Suite offers a beautiful view of the sunrise over the Sierra De La Laguna mountain range. 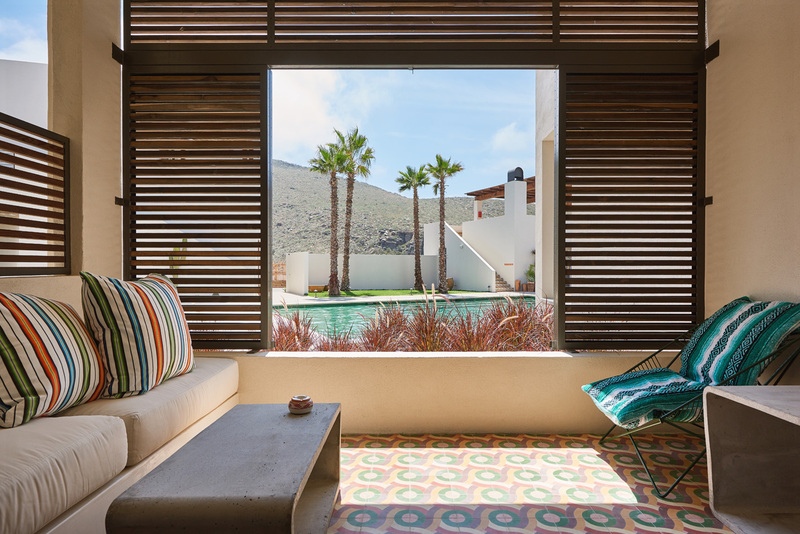 A spectaular view of the ocean and Punta Lobos are the Ocean Penthouse's crowning jewels. 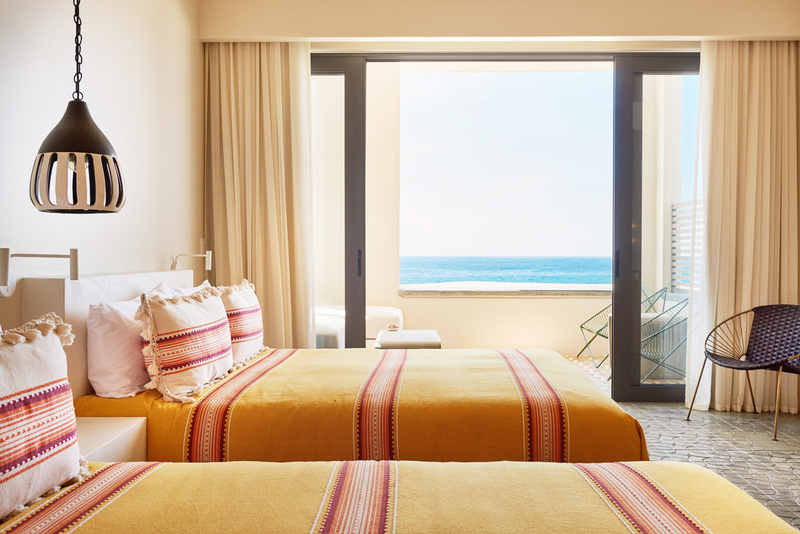 Poolside King rooms have spacious indoor and outdoor living areas overlooking the pool and Punta Lobos beyond. 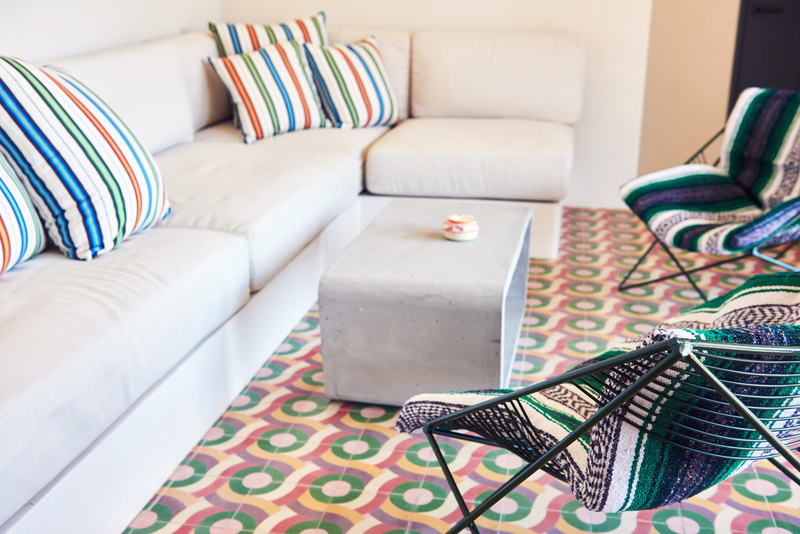 Mountain King rooms are located upstairs, overlooking the Sierra de la Laguna mountains, with ample interior space and a large shared patio.